Have a question that you think the world should know the answer to? Send us an email and we will get back to you with a response. It might even be featured in the next edition of MoneySense. George Iny, director of the Automobile Protection Association, said while some owners are happy with their buyback offers, his organization is hearing from people who are not. "The buyout offers are all over the map," he said in an interview, calling the calculation process "opaque." Some offers seem very generous, he said, while in other cases "it would be impossible to find a used CR-V on the market in the condition of the consumer's vehicle for the money they're being offered..."
Find more info about this, and contact the APA if you have been affected. Continue Reading on the CBC website. If you go back a few years, there was a lot of hype around the fact that millennials weren’t “in love” with cars the way that boomers and other generations were. Surveys and focus groups showcased this younger cohort’s indifferent—or righteous—attitude towards vehicle ownership. The auto industry was also very anxious to understand what that meant for their ability to make money. Turns out, a lot of that worrying was for nothing. According to DesRosiers Automotive Consultants, car ownership rates across Canada are soaring (unlike the US, where they’ve tapered off in recent years) and there’s an increase in the number of young people (aged 35 and under) who are getting their driver’s licence. Most everyone is driving more cars longer distances. So millennials probably won’t kill the car. Continue Reading on the VICE website. Read the rest of the story on the CBC website. Readers often write me about car problems. Since I’m not an expert, I consult with the Automobile Protection Association, a well-known consumer group founded almost 50 years ago by Phil Edmonston (later elected as the first NDP MP in Quebec). George Iny, current APA head, keeps advocating for customers and publishing the popular Lemon-Aid car guides. So, I figured he would know about Alicia Ditchburn’s problem with her 2018 Honda Civic hatchback. She bought the $20,000 vehicle last August. Early this year, she brought it back to the dealer to find out why it didn’t start properly. “I got a call the next day, saying mice or rodents had chewed through my vehicle, and I owed over $1,000 to fix the car,” she said. Ditchburn contacted Honda Canada CEO Dave Gardner, asking for the repair to be covered under the warranty. The case is currently under review. Read the rest of the story on The Star website. June 18, 2018. Amid tough Canada-U.S. tariff talk, should we buy an SUV sooner than later? Massive Trump tariffs on cars could decimate the auto industry – but that doesn’t mean you should be spooked into buying a car this weekend. The U.S. announced it’s considering adding a 25-per-cent tariff on Canadian auto imports to its 25-per-cent tariff on steel and 10-per-cent tariff on aluminum. The U.S Commerce Department has six months to conduct an investigation into auto tariffs and decide whether to recommend them. “A trade war is like a normal war – seldom are there any winners,” said Brian Murphy, vice-president of research and editorial with Canadian Black Book. Right now, Canada charges a 6.1 per cent tariff on imported passenger vehicles and the U.S. charges 2.5 per cent. Under current NAFTA rules – which the U.S. has been pushing to change – if 62.5 per cent of a passenger vehicle is made in Mexico, the U.S. or Canada, it can travel between all three countries without those tariffs. If the U.S. goes ahead with a 25-per-cent tariff, that would apply to cars built in Canada and sent to the U.S. by Honda, Toyota, Ford, GM and Fiat Chrysler. “We produced 2.3 million vehicles last year and about 85 per cent of them were exported to the U.S.,” said industry analyst Dennis DesRosiers, president of DesRosiers Automotive Consultants Inc. There are a lot of unknowns. Would the tariffs apply to other countries, like Germany, Japan and Korea? Would they include used cars? Would they be applied each time a car crosses the border during manufacturing? It’s also not clear whether Canada would retaliate with its own tariff on cars coming in from the U.S.
Read the rest of the story on The Globe and Mail website. A man from Cambridge, Ont. is suing BMW Canada for $2 million after his vehicle caught on fire on the highway in May 2015. David Batey said he was driving from Cambridge to Niagara Falls three years ago when his car, a 2008 335xi BMW Coupe, caught fire. "All of a sudden, an orange flame and black smoke emanates from the right front wheel well," said Batey. "I'm going, 'Oh my God,' and I'm literally getting out of a car that's on fire." In July 2016, a couple who lives in St. Leonard, Que., had their BMW truck, an X3 XDrive 28 model, catch fire in their driveway. "My wife came out, and when she opened the door, she just saw smoke, and then a flame just went off," said Vito Mucciacciaro, the former owner of the truck. George Iny, the director of the Automobile Protection Association (APA), said he had heard of "several" complaints about BMW vehicles catching fire. "We're aware of fires with property damages involving those BMWs," Iny said, stating they came from Ontario, Quebec and B.C. Mucciacciaro's vehicle was later listed for recall in 2016. He said he was compensated by his insurance company for his truck at market value, which in his opinion, was not an adequate amount because of how infrequently he drove the vehicle. 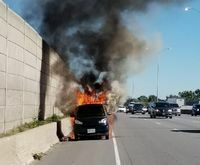 The fire that destroyed a Smart car being driven by a Swiss visitor to Ottawa last October may have been caused by an animal, Transport Canada has announced as the carmaker continues a recall of the same vehicles for a different reason. The recall affects more than 40,000 vehicles in North America with a defective insulation mat in the engine compartment. Transport Canada has warned the mat can deteriorate and loosen, such that the material may come in contact with hot components, and potentially ignite. The director of the Montreal-based Automobile Protection Association, a safety watchdog, advised all concerned Smart car owners to have their engine insulation checked by a technician, because the cohort of vehicles affected by recalls frequently expands, sometimes more than once. "I would absolutely call Transport Canada if you see any evidence of a beginning of a fire risk," Iny said. "And take photos." Mercedes-Benz Canada did not respond to a question about whether the insulation mat changed in model years later than 2009, nor how the company records complaints about potential safety defects. German automaker Mercedes-Benz has announced a recall of its Smart model cars in Canada due to a fire risk. The company is recalling the Smart model years 2008 and 2009 due to a fire risk caused by defective engine insulation. The decision comes as the US National Highway Traffic Safety Administration (NHTSA) begins investigating a series of unexplained car fires involving the Smart model cars. Automobile Protection Association director George Iny suggested that for those motorists, the best recourse would be a lawsuit against Mercedes-Benz – though it could be difficult for them to prove that the cause of the fire was the defect in question. Read the full story on the Insurance Business website. When you write about the auto industry for enough years, you learn there are a handful of perennial questions you will get from readers, the same ones that pop up over and over again. Sure, there are more queries around hybrids lately, and some people demanding more round-a-bouts and some demanding fewer, but my top three have remained: should I use regular oil or synthetic, why do idiots hog the passing lane, and what’s the best used car to buy for my kid who is going away to college? The first question can be answered in your owner’s manual, not even Kreskin knows why those idiots can’t get out of the passing lane, but the used car question? That one is fun. There are still some tendrils of old school thinking that show through, especially when it’s a grandparent asking the question. Bigger must be safer, right? I mean, my parents sent me off to school in a 1976 flaming orange AMC Matador wagon, and despite the hole in the passenger side floor and the fact I had to call for a boost most nights, it was perfect. My parents imagined me safely ensconced in a tank. They didn’t know it essentially made me a taxi service, as I happily ferried all of my friends around. I’m sure my parents didn’t realized they were creating a clown car, but there is nobody as inventive as university kids when it comes to doing dumb things with cars. Caveat emptor, or buyer beware, was the guiding principle during the earliest days of the automobile era. Cars were an amalgam of crudely tooled parts made from questionable materials and workmanship that varied by the day and the supplier. It wasn’t until Henry Ford perfected the assembly line and supply chains that consistent quality could be assured and backed by a definable warranty. The 3-year/60,000-km comprehensive warranty remains the industry standard today, although some automakers have gone further. Virtually every luxury brand from Acura to Volvo has adopted four-year/80,000-km coverage, while Hyundai, Kia, Mitsubishi and Jaguar have gone to five years. Curiously, Volkswagen provides a comprehensive 6-year warranty to U.S. buyers, but four years of coverage in Canada. Iny says Canadians are especially receptive to good warranties, which helps to close deals in the showroom. However, as good as new-car warranties appear on paper, in practice they can sometimes disappoint for a host of reasons. “Dealers are not compensated adequately for diagnostic time, so the customer sometimes gets the runaround,” says Iny. Dealers are paid less by the manufacturer for warranty claims than they would recoup from a customer-paid repair, so warranty work doesn’t always get top priority. Warranty claims may be declined if one or more maintenance records are missing, explains Iny, even if the failure cannot be attributed to a missed oil change. And customers are sometimes charged for filters and fluids which were not due for replacement and should have been included in the price of a major repair. Read the full story on the Wheels.ca website. February 13, 2018. Should car inspections be mandatory in Quebec? Quebec Coroner Jean Brochu hopes his latest report into a fatal crash in 2016 involving a ride-sharing service will raise awareness about the dangers of getting into a stranger's car — but his report stops short of making any recommendations to the Quebec government. "I just wanted to make sure that people are aware that with all these enterprises of ride-sharing, there is absolutely no guarantee that things will go well," Brochu said. According to George Iny, president of the Automobile Protection Association, making inspections mandatory for the four million cars in the province could do more harm than good. ..."Ride-sharing is so fragile right now as it is, that if that were brought in, it would probably mean that the whole model would fall apart." Iny said that a basic inspection can cost anywhere between $50 to $80. "We know of provinces where you have mandatory vehicle inspections, and they do not have better road statistics than Quebec," Iny said. Instead he suggests a system where customers give ratings and feedback about the vehicle they were in, similar to Uber's model, or perhaps the company can also ask to see documentation. "A ride-sharing company could ask for some record of maintenance — paperwork even. They wouldn't necessarily be running an inspection program, but…after a certain number of kilometres or age, then you start to have the cars inspected." It's been well established that new vehicles incur rapid depreciation as soon as they're driven off the lot. Most new cars can lose up to 50 per cent of their value during the first four years of ownership. That's exactly why Esther Paulsen and her husband Tim bought second-hand when they were shopping around for a replacement vehicle last December for their growing family. "Our decision to go new or used was dictated by budget," said Paulsen, a teacher in Toronto. "We didn't even look at new as I was coming off a maternity leave and we are basically single salary with two kids." But looking to save money buying second-hand shouldn't preclude buyers from wanting to ensure their car is in top condition, cautions George Iny, president of the Automobile Protection Association. Keyless entry has become so common most drivers probably can't remember the last time they used a key to unlock the car. And increasingly, drivers don't use a key to start the vehicle, either – employing the nearby fob so they can push a button on the dash or centre console. Some auto makers even offer smartphone apps, whose functions can include remote starting, among other things, as cars become part of the Internet of Things. But are we paying a price for this convenience when it comes to safety? Push-button starters are actually nothing new. Starter buttons predominated until after the Second World War before being supplanted by all-in-one systems where a twist of the ignition key operated the starter motor. Safety watchdogs have also chronicled instances of drivers pushing the button to stop the engine without putting the car in park, allowing their vehicle to roll away. Many systems emit warnings or even shut down shortly after the driver exits the vehicle and the fob is detected leaving with them. "The problem is if you leave the key in the cupholder and just exit the car, the car doesn't know to turn off," says former Toronto auto dealer John Raymond, now on the board of the Automobile Protection Association. Quebec will reportedly bring forward the mandatory date by which winter tires must be put on all vehicles in the province and also increase fines for those who don’t follow the rules. It remains the only Canadian jurisdiction that requires drivers to have winter tires by law – between Dec. 15 and March 15. The nine-year-old legislation comes with the threat of a fine from $200 to $300. In B.C., drivers are required to have winter tires installed on their vehicles if travelling on designated highways around the province, mainly in the Interior and near high mountain passes. Despite some occasional calls in other parts of the country, there doesn’t appear to be an appetite for Quebec-style rules in other provinces. See APA's Winter Tire Reviews. The list of good compact SUVs out there is anything but compact. You've narrowed the list, but there's still the 2013 Kia Sportage ($15,904 for AWD), 2013 Hyundai Tucson ($15,829 for AWD) and the 2013 Nissan Rogue ($16,123 for AWD). A North American SUV, the 2013 Chevy Equinox ($16,483 for AWD), took top place in J.D. Power's 2016 dependability study of three-year-old vehicles. The Forester and the CX-5 were both on the lower half of that list (seventh and eighth out of 10, respectively). But they're safe options, literally. The Insurance Institute of Highway Safety (IIHS) named both as top safety picks. November 9, 2017. Time for that annual debate: winter tires or all-seasons? This is Canada. We pride ourselves on being able to survive the most miserable winters anywhere. We giggle (to ourselves, politely) at tourists wearing down jackets before the Christmas decorations are in stores. Some of us still think winter tires are for snowflakes, so the annual debate has begun in many of the country's major metropolitan areas: Are winter tires really necessary? "We've heard everything from 'The company is just trying to sell more tires' to 'I don't need them because I have all-wheel drive,' " said Michelin Canada driving expert Carl Nadeau. Nobody's really sure how many of us use winter tires – surveys vary. In a 2016 Michelin survey of drivers in Ontario, 43 per cent did not own winter tires – tires with the mountain snowflake symbol on the side – and 50 per cent thought all-season tires were just fine for Canadian roads. In a nationwide survey that same year by the Tire and Rubber Association of Canada (TRAC), about 68 per cent of Canadians said they use them – almost twice as many as two decades ago. The TRAC survey reported use was 100 per cent in Quebec, where winter tires are required by law from Dec. 15 to March 15. But use generally decreased from east (80 per cent in the Maritimes) to west (49 per cent in British Columbia). "The tire industry invented this idea of the all-season, and people said, 'Great, I don't have to buy extra stuff in the winter,' " said Geoff Wiebe, a Regina-based tire expert for Kal Tire. "All-seasons say M+S [mud and snow] on the side but really don't hold up on snow and ice when we test. We call them three-season tires." They realized they couldn’t adequately test for emissions with a skint budget in an area that had no diesels in rental fleets, and they soon found they couldn’t beg or borrow any, so they went to California where they could do both. Cars not supplied by a manufacturer. October 30, 2017. I’ve got two Volkswagen diesels. Will the emissions fix hurt performance and fuel economy? If you get the emissions fix for your Golf TDIs, they'll pollute less – but your fuel economy will get worse. That's partly why Volkswagen turned off the emissions controls in the first place. "They're emitting lots of NOx [nitrogen oxide] because VW shut off the emission controls in the real world – it's very blatant," said John German, senior fellow with the International Council on Clean Transportation (ICCT), who discovered the cheat in tests in 2013 and 2014. "We're not talking minor – these guys are emitting 2.5 times more than a Mack truck." Understanding the problem they're trying to fix might help you decide whether you want it. Along with other pollutants like carbon monoxide, nitrogen oxides are produced when your engine burns gasoline, diesel and even ethanol. They're bad, mainly because they lead to smog and acid rain. United States got better deal? In April, Quebec and Ontario courts approved a $2.1-billion settlement for about 105,000 cars with 2.0-litre TDI engines after a class-action lawsuit. Each owner got a payment between $5,100 and $8,000. Many had the choice to either sell their car back to Volkswagen or get an emissions modification approved by the U.S. Environmental Protection Agency (EPA). The Automobile Protection Association (APA) said Canadians fared better than Europeans on the deal, but American customers got 10 to 20 per cent more than Canadian customer when VW bought cars back, even without the difference in the exchange rate. That's because the Canadian deal based the resale value on the medium-low range of the book value. The governments of Canada and Ontario have been "mostly passive," said APA president George Iny. "It's the Canadian law firms acting for the class and VW likely working internally that arrived at an agreement that is a relatively close copy of the U.S. deal..."
A Swiss woman who arrived in Ottawa in August to study English had one of the most terrifying experiences of her life on the road last week. Aurélie Rossier, 34, was alone and heading west on Highway 417 near Bronson last Wednesday when the interior of the 2008 Smart Fortwo she was driving suddenly filled with smoke. "I couldn't see the road anymore. I couldn't breathe," said Rossier, who spoke with CBC in French. In a panic, Rossier pulled over to the side of the road, opened the door and quickly got out. Another driver stopped to help and urged her to get away from the vehicle. Moments later the car was engulfed in flames. "To see a car burned like this, it was really crazy for me," Rossier said. "I was really, really scared." Rossier had borrowed the car from her friend Aaron Matharu, who told CBC it belonged to his parents and was bought used about five years ago. After the fire, he said, he called customer service at Mercedes-Benz to inform it of the location of the car so it could investigate. "They were in total denial, [saying] that they'd never heard of such [an] occurrence and this was the first time," said Matharu, who discovered for himself the U.S. investigation of the 2008 Smart Fortwo. The insurance company was similarly disengaged, Matharu said, because the vehicle was not covered for fire damage. The company did not say anything about referring the car fire to Transport Canada, but Matharu said he would make a report himself. CBC contacted Mercedes-Benz Canada requesting an interview about the car fire in Ottawa as well as the investigation in the U.S., but received only a statement. "The safety of our customers is our primary concern and our colleagues in the U.S. continue to fully co-operate with NHTSA in its inquiry and support all investigations to their full extent." A consumer watchdog for drivers said potentially serious defects often go unreported in Canada. Consumers in the U.S. are well aware of who to call, but people in Canada don't know where to complain if they suspect a safety defect in their vehicle has caused property damage, said George Iny, director of the Automobile Protection Association. In some cases, Iny said, insurance companies make settlements with the car manufacturer instead of reporting incidents to Transport Canada. "If they can get some money from the car maker, they'll agree to a hush-hush deal," said Iny, who believes that insurers should be required by law to make a report if they have any reason to suspect a safety defect. Reports of even one or two fires in Smart cars in Canada are alarming and worthy of investigation, Iny said. "The Smart is small and it's made of plastic. So when it catches fire, the event is over pretty quickly," Iny said. "A fire spreads very quickly inside a vehicle, and you always have barely enough time to get out before the vehicle is in flames. But we're wondering if the risk here might be even greater." A class-action suit that alleges oil companies and fuel retailers in Quebec were engaged in fixing the price of gasoline hit a pothole Thursday when Canada’s highest court blocked it from accessing evidence from a related criminal investigation. The Supreme Court ruling means lawyers for the claimants in the class action cannot interview the chief investigator of the Competition Bureau or get access to evidence, including 220,000 wiretap conversations. “Disappointed,” said George Iny, executive director of the Automobile Protection Association, one of the parties behind the class-action suits. However, Iny said the ruling pertains only to the discovery process — the preliminary work of gathering evidence for a possible trial. He said he hopes that during the trial itself, the investigator can be compelled to testify or produce documents. Earlier this year, one of the class actions related to the four cities where charges were laid resulted in a $17-million settlement with two-thirds of the companies involved. The second suit, however, involves retailers and companies in 26 other cities, where the Competition Bureau investigated evidence of price fixing but did not lay any charges. Read the full story on the National Post website. MONTREAL, Aug 11 (Reuters) - Canadians are making smaller payments more frequently on auto term loans as new financing offers lure buyers away from the typical monthly billing cycle, a trend public advocacy groups say could push consumers to purchase more expensive vehicles that they simply cannot afford. This new financing trend has made it easier for consumers to pile on debt, further extending already over-leveraged households. According to Statistics Canada, households have amassed huge debt, with the ratio of debt to disposable income at a near record of 166.9 percent during the first quarter of 2017. Read the full story on the Reuters website. Consumer protection agencies are warning those shopping for used cars to stay alert as some vehicles damaged in the recent floods south of the border may appear on the Canadian market. The agencies say vehicles caught up in hurricane Harvey and other disasters will likely be disposed of by insurers but some may be imported into Canada and sold to unsuspecting drivers. They say the vehicles may seem to be in perfect condition because the damage caused by flooding can take months or even years to manifest. The Automobile Protection Association says the issues may not be flagged in a history report or come to light in an inspection. If you're in the market for a used car, online classifieds such as Kijiji and Craigslist are go-to places to find deals. There are some private companies that, for a fee, will retrieve a history of the car, its odometer reading, whether it's ever been involved in an accident or if it's been rebuilt. However, with a bit of sleuthing, you can find out some critical information about the used car you want to buy all on your own. Ontario sellers are legally required to provide a used-vehicle information package (UVIP) to a buyer when they sell a pre-owned vehicle, to protect the buyer. The package includes a description of the car, the present and previous owners, the odometer reading, lien info and the vehicle's condition, as well as whether it's been dismantled or crushed. A buyer can't proceed with the ownership transfer without the UVIP in hand. In Ontario, (private) sellers are legally required to provide a used vehicle information package (UVIP) to a buyer. Ontario's UVIP is a great tool — if it's used properly, said George Iny, executive director of the Montreal-based Automobile Protection Association. "Usually people obtain it at the licence bureau," said Iny. "Sometimes they don't even open it until they say goodbye to the guy who sold them the car." September 5 2017. What does a prior accident do to my car’s resale value? When you're selling a car that's been in a crash, it's easy to feel like you're on the losing side of history. But a record of the damage doesn't necessarily mean you'll take a hit for that full amount when it's time to sell. "I had a Tahoe that I scraped on a parking pillar and had an $1,800 damage claim to repaint the two doors," said Joe Varkey, vice-president of marketing for Carproof. "If I went to a dealership or a reputable body shop and had it fixed, those doors are as good as new – by no means does it reduce the value of my vehicle by $1,800." So what does a vehicle history report from Carproof or Carfax – which have been owned by the same U.S. company since 2015 – actually show? It depends on what they can find. "To the extent we have this information available, we'd report the date of the incident, the cost estimated and/or paid for the repairs and other costs, the city and province of the incident, and some details of the nature of the damage/incident," Varkey said. So, your $51.95 Carproof report might show that $5,000 claim. Or it might just show the original estimate from the repair shop – which could be higher or lower than the actual cost to fix. If you've never heard of a GPS immobilizer, chances are you've never leased a car on bad credit. Bury, Que., resident Daniel Lallier did just that in May, and ended up having his car remotely immobilized by the dealer over an extra $200 fee that, it turned out, was likely illegal. George Iny, president of the Automobile Protection Association, said it's a situation that most car buyers may never face, but it's far from unique. "If you're in the mainstream of auto financing, you will never see an immobilizer on your vehicle," he told CBC News. Dealers use the GPS tracking device to immobilize a car remotely as an alternative to more traditional forms of repossession, like having a tow-truck show up and haul a car away. A Winnipeg grandfather wants to know why his minivan wasn't included in a massive Ford recall after the vehicle started falling apart during a road trip last month. Wayne Douglas Weedon, 69, said the bracket holding the third back seat of his 2004 Ford Freestar fell off while he was driving with his wife and three grandchildren to Lac du Bonnet on July 22. Weedon said he was driving no more than 30km/h on a bumpy gravel road when he heard a loud noise coming from one of the rear tires. "I stopped immediately and I thought what the heck is going on here?" he told CBC News. Weedon said he got out of the vehicle and saw the seat bracket and a rusted metal plate in the well of a back tire. Iny said the onus is on the automobile maker to issue the recalls and assess the safety risks but he also said Transport Canada could do more to address the safety concerns of consumers. Read the full story and see the video on the CBC website. A 10-year legal battle has resulted in a $17-million out-of-court settlement between a group of Eastern Township motorists and a number of gas retailers in the area. 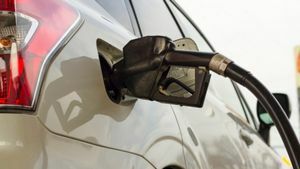 The bureau said the gas retailers — individual operators who ran their stations under the banners of Shell, Esso, Petro-Canada and Irving Oil — called each other to agree on prices. The $17-million settlement, which two-thirds of the companies and retailers named in the class-action lawsuit have agreed to, could translate into a reimbursement of about $40 each for 200,000 residents after legal fees and other deductions. April 17, 2017. Am I owed a loaner car after a part recall? If your car is waiting on a repair or in the shop for long, it’s dealers’ choice as to whether or not you get a loaner. The same goes with a recall. And if you can’t drive your car because of a recall? “If an open recall were to make a vehicle unfit to drive, a consumer could have a right to compensation for a replacement vehicle under the general laws on warranty or under contract law,” Iny said. Wanna buy a new 2015 Volkswagen diesel? That’s a trick question. Even though the vehicles, those at the centre of one of the automotive industry’s largest controversies in its history, were released for sale on April 12th, they’re already long gone. The 2.0-litre TDI-equipped vehicles had been quarantined in the wake of Dieselgate, the world-wide emissions cheating scandal that brought the German automotive giant to its knees. Since the discovery that VW had been intentionally, deviously, futzing with the pollution control software on many of its diesel cars since 2009, North American owners spent more than a year in limbo, awaiting settlement options for their tainted vehicles. When they were finally announced, those settlements were generous; depending on the age and condition of their vehicle, owners could see compensation that amounted to either a fix plus a payment of between $5,100 to $8,000, or a buyback based on the value of the car pre-scandal, plus that payment. In the meantime, inventory already on dealer lots was frozen. With the announcement of an approved fix by the EPA in the U.S. (and accepted in Canada), those impounded cars were cleared for sale. It’s a move a lot of people were betting on, and a local dealer told me the 43 cars he had in stock were gone in a couple of days. 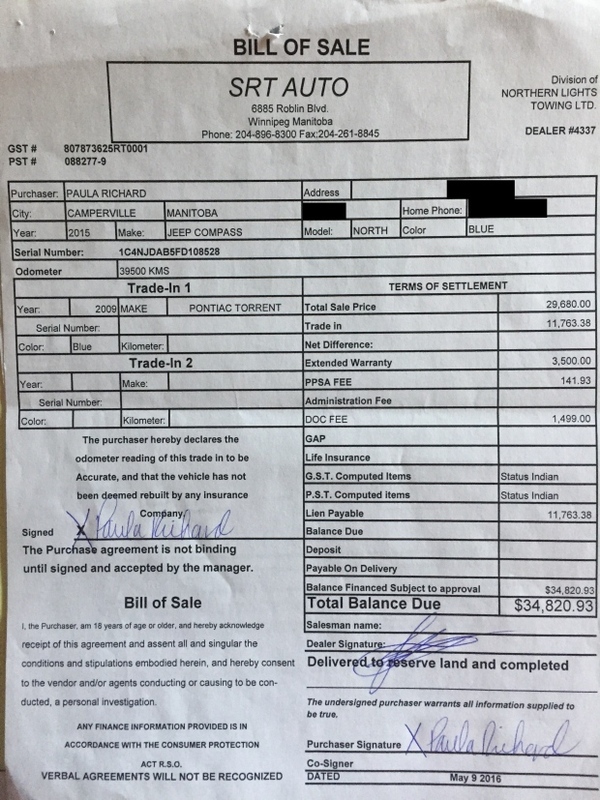 Another customer has come forward claiming a Winnipeg car dealership owes her money following a CBC News story about a Brandon couple who claim to be owed more than $28,000. Warren and Mary Houle told CBC News their story about a trade-in deal with SRT Auto earlier this month. They were quoted a trade-in value of $28,157 for their 2013 van, which they understood would be applied to the outstanding loan for that vehicle. George Iny, director of the Automobile Protection Association — which lobbies for auto safety standards and promotes consumer information — said some dealers use over-valuing trades as a sales tactic. "What you do is inflate the trade-in value, then you pack two loans on to the price of the next vehicle," Iny said in a phone interview from Montreal. Iny reviewed two bills of sale provided by CBC News. Both the Houles' and Richard's bills of sale show the value of their trade-in listed as equal to the lien payable on their initial loans. He said in both cases, the purchase prices appear to be inflated. Iny said the best course of action in this situation is to contact Manitoba's Consumer Protection Office. Cases like this, he said, are signs that current rules and regulations need to be better enforced. "I think the root of the issue is the level of oversight. Regulators just don't get out there. They don't put themselves in the shoes of one of the customers they regulate," Iny said. Do you know what to do when these dashboard warning lights appear in your car? George Iny, Director of the Automobile Protection Association, breaks down what these symbols mean and what you should do when you see them in your car. Watch the interview and find more information on these lights on the Breakfast Television website. February 22, 2017. Drive it like a rental, then buy it, too? Thousands of rental cars and trucks find their way into the used-vehicle market every year, either via rental companies’ sales channels or from auto dealers that’ve snapped them up at auctions. But it seems so counterintuitive. Consumers shopping for a used car want reliability – and what springs to mind: an ex-rental? Seriously? Yes, seriously. Ex-rentals fill out the supply of relatively low-mileage, late-model vehicles and there are often bargains to be had. Some have as few as 20,000 kilometres on the odometer and are still under the auto maker’s warranty. “Given depreciation, you can save quite a lot by buying a rental car that’s only one or two years old,” said Brian Murphy, research and editorial vice-president of Canadian Black Book. But he warns it’s just as important to do your homework as when buying a used vehicle that was privately owned. “Don’t get a good price on a bad car,” Murphy said. Murphy and George Iny, of the Automobile Protection Association, say that when considering an ex-rental, the whole transaction should be looked at. If the vehicle is financed, it might be cheaper to buy new because auto makers may offer incentives and low or zero-per-cent financing. It’s the answer service advisors almost always recite: an unseen stone is the culprit, making it an insurance matter. But armed with growing witness evidence amassed on the Internet – and with regulators beginning to probe defective auto glass – consumers are challenging the pretext. The last thing motorists need to worry about on today’s busy highways is having their sunroof spontaneously explode, sending glass fragments raining down on them while driving 100 km/h. While relatively rare, it can happen when so-called “safety glass” shatters, seemingly unprovoked, for a variety of reasons that are not commonly understood. “The automakers rely on exclusion for ‘external causes’ in their warranties. It’s one of the four or five exclusions common to all automaker warranties, the others being abuse, negligence, and normal wear and tear,” points out consumer advocate George Iny, president of the Automobile Protection Association. Electric vehicles made up fewer than 7,000 of Canada’s 1.9 million annual new auto sales last year, but older EVs increasingly are finding their way into the used-car market. Data supplied to Globe Drive by autotrader.ca shows searches on its car-sales website for battery-electric cars rose over the past six months from 0.05 per cent to 0.09 per cent of total searches. List views almost doubled to .23 per cent. That’s a drop in the bucket on a site that gets eight million visits a month, but its a definite upward trend. The Nissan Leaf and Tesla Model S are the most commonly searched and listed. George Iny, of the Automobile Protection Association, says the Leaf stores its lifetime charging history, including quick charges that can damage the battery. A would-be buyer could ask for a readout. If shopping used, check to see if the warranty is transferable. A replacement battery will cost upward of $5,000. January 16, 2017. Exploding Sunroofs: What can cause it, and who's to blame? Frustrated drivers who were told by dealers to put their broken sunroof claim through insurance are pushing back by getting industry regulators involved. In one example spurred by owners, the U.S. National Highway Traffic Safety Administration (NHTSA) is investigating reports of spontaneous sunroof breakage in 2011-14 Kia Sorento models. NHTSA has reviewed similar complaints by owners of other vehicles, and has sent information requests to four additional manufacturers: Ford, Volkswagen, Hyundai and Nissan. In reality, no automaker appears immune to the phenomenon. Transport Canada has received a significant number of sunroof explosion complaints, and started two active investigations, one prompted by a Calgary realtor whose sunroof spontaneously shattered while driving his Buick. The dealer blamed an unseen rock, but when pressed, General Motors contributed $500 towards the $1,000 repair. Faced with growing online evidence – and the gathering storm of class action lawsuits – manufacturers have begun to grudgingly admit that their auto glass may be defective. Some have begun honouring warranty claims and quietly recalling selected models. Volkswagen Group is recalling some 2013-14 Audi A8 and S8 luxury sedans because the glass in the standard sunroof may shatter. Hyundai issued a recall on certain 2012 model-year Velosters for spontaneously exploding panoramic sunroofs. Jim Trainor, Hyundai’s U.S. public relations manager, suggested “defects with the glass” may be a factor. For its part, the Insurance Bureau of Canada (IBC) has not noted any increase in the number of insurance claims involving broken auto glass, and hasn’t opened a dialogue with manufacturers regarding spontaneously exploding glass. “IBC has not been made aware of increases in claims resulting from shattered glass and, therefore, we have not engaged the auto sector on this,” says IBC spokesperson Andrew McGrath. Consumer advocate George Iny, president of the Automobile Protection Association, says insurance companies have not been rejecting roof glass claims, even though they probably could challenge some claims or impose a premium surcharge on vehicles with glass roofs. January 12, 2017. I may take the VW buyback, what similar used car should I get for the money? Don’t count your buyback until it’s hatched – the Dieselgate deal won’t be before the courts for approval until March. But, if the deal happens, getting rid of your wagon – instead of getting the emissions problem fixed – is something to consider, says George Iny, president of the Automobile Protection Association, a subscription-based watchdog. Under the proposed deal, owners will get a cash payment and can either get the problem fixed, trade in their cars or get the buyback, with adjustments for options and mileage at the time of the actual offer. When? 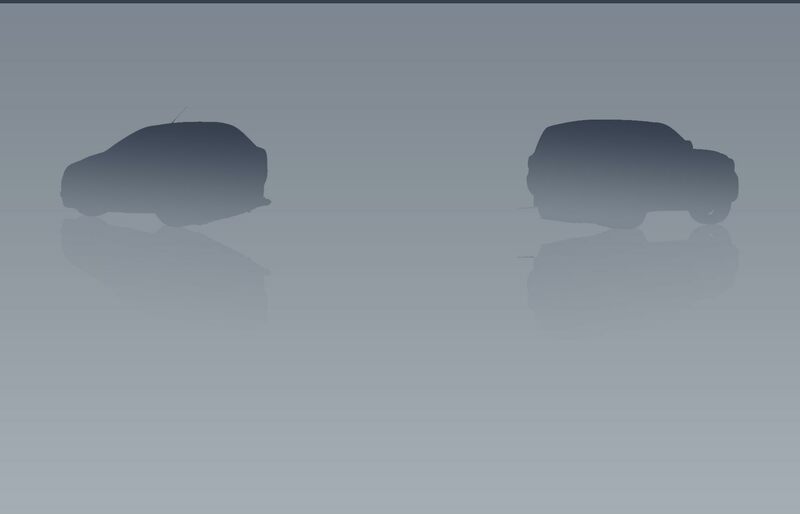 That’s “TBD,” Volkswagen’s website said. 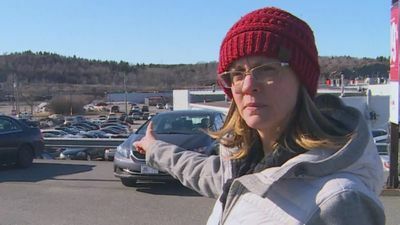 In the wake of a CBC I-Team investigation into car dealerships charging extra fees on top of the advertised price of a vehicle, 66 customers have received settlements or refunds from 27 dealerships. Last September, the I-Team's undercover shoppers found seven out of 10 dealerships were still trying to add extra fees on top of the advertised price, despite a new provincial law in 2015 meant to protect car buyers from surprise fees. Since the I-Team's September story, the Consumer Protection Office said it received 90 complaints from car buyers about fees added to the advertised price of vehicles. The Automobile Protection Association's George Iny said "sometimes regulators get confused and they forget who they are there to protect." "Transparency must be the rule for complaints that are legitimate," Iny said. "Publicity helps level the knowledge inequality between buyer and seller." Iny also believes that compliant dealerships have suffered because no one knows which ones were following the regulations. Will the latest round of fuel jumps change anything? John Raymond, a long-time industry consultant now with the APA, doesn’t think so. If Raymond is right – and I think he is – ask yourself something as you go to purchase that SUV tomorrow. If a tank of fuel costs $75 and gets 600 kilometres, are you prepared for it to cost you $80? $90? More? Or will you simply believe that Canadians are somehow being punished more than other countries for exercising their right to drive comparatively huge vehicles? For past news articles, click here.